McGill's Repair and Construction, LLC | Page 6 of 7 | Servicing Southern Iowa's Electrical, Heating and Cooling needs since 1990. Service with a smile! We strive to treat you as we would like to be treated. Service you can depend on...with a smile. Free quotes provided upon request. Just contact us. We provide service on most brands. An annual inspection, cleaning and tune up of your central air conditioner will help ensure you are ready for the summer heat. 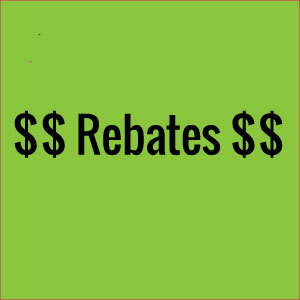 For Alliant Energy customers you may be eligible for a rebate of 50% of the service fee (up to$50 maximum) on the cleaning and tune-up on your air conditioner. - service must be completed by professional. Have your contractor complete the rebate form and submit it along with copy of invoice to Alliant within 90 days of service. Note – At this time this applies only to Alliant customers. We are not aware of any similar rebates for Charitan Valley Electric or Southern Iowa Electric customers. See also article Schedule your AC Cleaning and Inspection Now. Contact David or James today to schedule an appointment to service your AC unit. Soon the warmer temperatures will cause you to switch from heating to cooling. 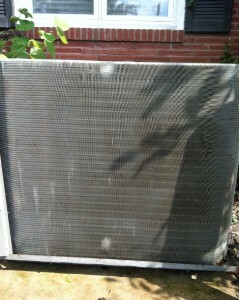 To get ready for the summer heat, have your air conditioner cleaned and inspected by David or James McGill. 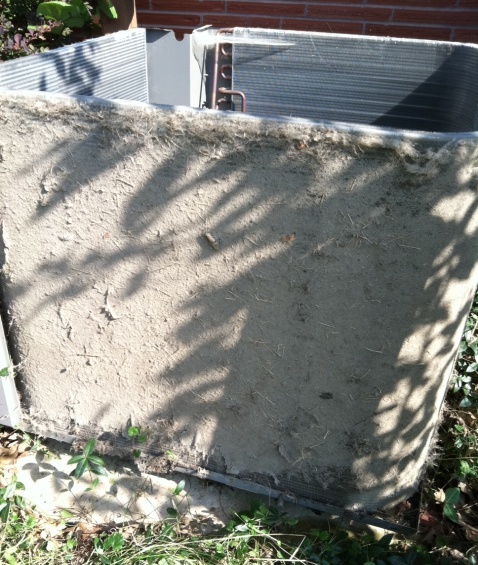 A dirty AC condensor coil is the leading cause of performance loss and failures in central air units. After cleaning. This AC unit is happy. Call David McGill at 641-437-1086 to schedule your appointment for late spring or early summer. 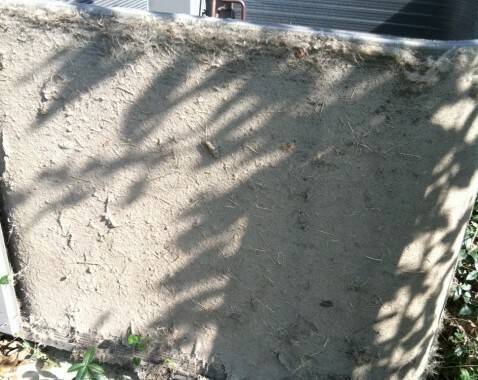 Cleaning and testing will be conducted when outside temperature are above 70 degrees. Cleaning and inspection of window air conditioners is also available. Article written by Tim McGill, editor @ Tree Branch Publishing. Licensed by Iowa Plumbing & Mechanical Systems Board as required by Iowa Code. Licensed by Iowa Department of Public Health - State Fire Marshal Division. Bonded and Insured according to requirements of Iowa Plumbing & Mechanical Systems Board. When possible we like to support our local businesses. It is our privilege to assist with community projects and support local organizations. Your privacy is very important to us. We will only use information you provide to us for activities relating to services provided by McGill Repair and Construction, LLC. We will never sell or distribute your information to others.